Among the many tests that you’ll undergo when you apply to join the military, one will be the ASVAB. This test, and your ASVAB scores, have a direct impact on your options once you join, including what department and what profession you can start in. There are a few factors on top of your ASVAB scores that will impact your placement as well, including whether you have a GED or a high school diploma. Together, all these scores become your Armed Forces Qualification Test (AFQT) score, which will be used as a determining factor in your placement. Here are the expectations of some of the military’s different departments, so you can know what’s expected before you take the ASVAB. As it stands, the Air Force is almost impossible to enter with a GED. You’ll need exceptionally high scores across the board to join if you don’t have a high school diploma. 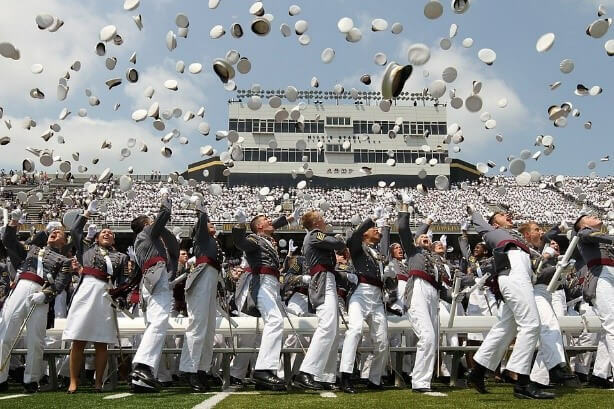 But if you do have a diploma, you’ll need an AFQT score of over 36, or over 65 if you have a GED; however, the minimum isn’t a good indication of the scores actually required, as most of the applicants entering the Air Force have a score of over 50. But if you have college credits, you may qualify for a higher enlistment rank. The Navy requires an AFQT of at least 35 with very few exceptions and needs 50 to enter with a GED. A clean record for drugs or any illegal activity is also required, which can make the Navy a highly competitive and difficult division to enter. But, just like the Air Force, if you have college credits, your advanced enlistment rank could be as high as E-3. The Army, unlike many other divisions, will actually raise your enlistment rank based on your AFQT, so a higher ASVAB ranking can actually help you get ahead from the very start. They require a minimum of 31 to enlist and frequently take in recruits with their GED. Depending on your scores, your advanced rank could be as high as E-4. The National Guard is another division of the military that welcome applicants with a GED, with a minimum score usually being around 31 for those with a high school diploma. They also offer advanced enlistment ranks based on you’re ASVAB scores. The ASVAB is one of many tests you’ll be given when you apply to become part of the US Military. Other tests include a medical exam, a security clearance and a physical aptitude test that measures your strength and physical abilities. Combined with your high school scores, your ASVAB score will determine where you start your military career, and perhaps where you end up going. If you want a higher ASVAB score, you will probably benefit from an ASVAB study package offered by ASVAB Boot Camp. These study guides are designed to help potential recruits score higher so they can reach their full potential in their military careers.